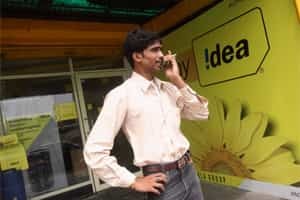 New Delhi: Idea Cellular, India’s fourth-largest mobile phone carrier by subscribers, posted a steeper-than-expected 41% drop in quarterly profit, sending its shares down as much as 3.2% in a flat Mumbai market. The outlook for Idea and its rivals have improved after the companies raised voice call prices in July by about a fifth, which was the first such increase in the ferociously competitive sector in at least two years. India is the world’s second-biggest mobile market after China with 866 million users as of August. But operators have traditionally sacrificed profitability to chase growth and a vicious price war in the 15-player market had hit the sector’s profit before call prices started stabilizing. Idea, which spent $1.3 billion to buy 3G spectrum in a state auction last year, said its 3G investment plans were “on track". Currently voice calls account for close to 90% of the sector’s revenue. With the launch of 3G networks, operators are betting on a pick up of the high-margin data services. “As hyper competitive phase draws to an inevitable close, and the consumer demand transitions from pure voice to voice and data, Idea Cellular is well positioned...to profit from long-term opportunities," the company said in a statement. Idea, part of India’s Aditya Birla Group, said consolidated net profit fell to Rs106 crore ($21 million) for its fiscal second-quarter ended September from Rs180 crore a year earlier. Revenue rose 26% to Rs4,620 crore. A Reuters poll of brokerages had, on average, expected net profit of Rs158 crore on revenue of Rs4,634 crore for the company in which Malaysia’s Axiata owns about a fifth. Interest costs on the loans to build networks nearly tripled to Rs294 crore from Rs103 crore in the year-ago quarter. Idea funded its 3G expansion by taking on more debt, while a sharp fall in the rupee’s value against the dollar increased the cost of servicing foreign currency loans. Shares in Idea, valued at more than $6 billion, were down 1.7% at Rs91.70 by 01:00 pm in a Mumbai market that was little changed. The stock is still up nearly a third this year to be the best performing telecoms share and has outperformed the broader market that is down about 17%.